Apple will host an event on September 12 at the Steve Jobs Theatre in the company's Cupertino, California, campus, where it is widely expected to unveil new iPhone models. Analysts believe Apple plans to release three new smartphones this year, including one with a larger display than previous models. Analysts also expect Apple to release an iPhone with a edge-to-edge display similar to the iPhone X but using less-costly LCD screen technology. Apple's event invitation made heavy use of the colour gold, fuelling speculation on social media that the company plans to launch a gold-coloured successor to the iPhone X, which was made available only in silver and gray last year. Documents filed at the U.S. Federal Communications Commission unsealed earlier this year showed Apple had sought approval for a gold version of its iPhone X, but it never released the colour. A few hours after Apple's announcement, 9to5Mac, a technology news website, posted photographs of two gold iPhone models stacked on top each other, with a larger-screened model on the bottom. Both models resemble the current iPhone X. 9to5Mac told Reuters the photographs were not mockups and represented Apple's actual planned products but declined to say how it had obtained them. Apple did not respond to requests for comment about the authenticity of the photos. Apple shares were up 2.2 per cent at an all-time high of US$227.97. The company has already given base-model iPads and some MacBook laptops an update this year. 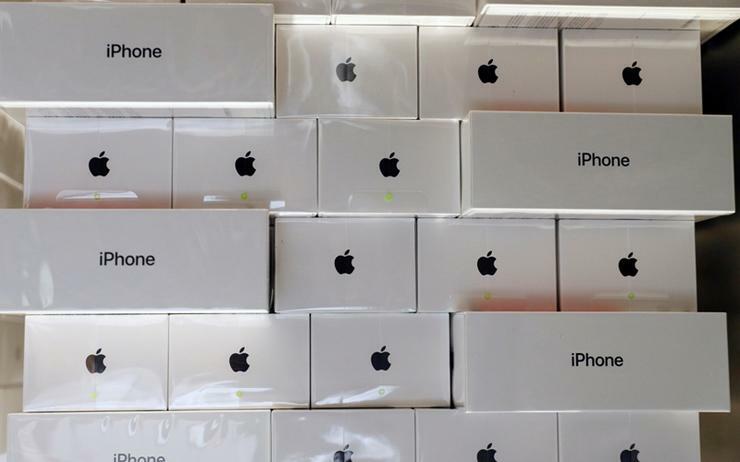 Apple typically starts selling new iPhones a few weeks after launching them, in time for the holiday shopping season. The iPhone X, priced at US$999 and up, has helped Apple beat Wall Street sales expectations. Investor Warrant Buffett, speaking on Thursday to CNBC, said the iPhone is "enormously underpriced" even when it costs US$1,000, given how indispensable it has become for so many people.